Thanks for the separate forum for us softball players. Just looking for a volunteer to moderate this forum and get the activity going. Where's Bretman? He is all over the softball boards and an avid softball player. 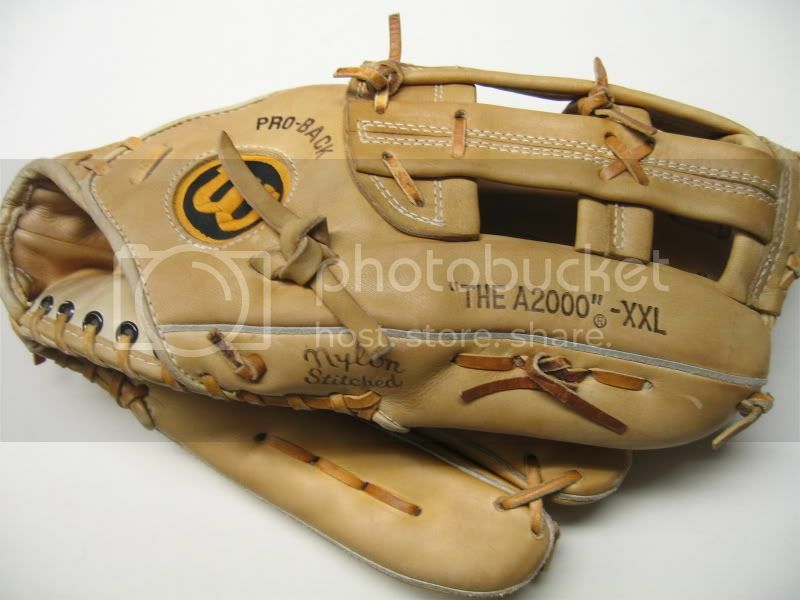 To bump this up, here is one of my favorite A2000's in my collection. 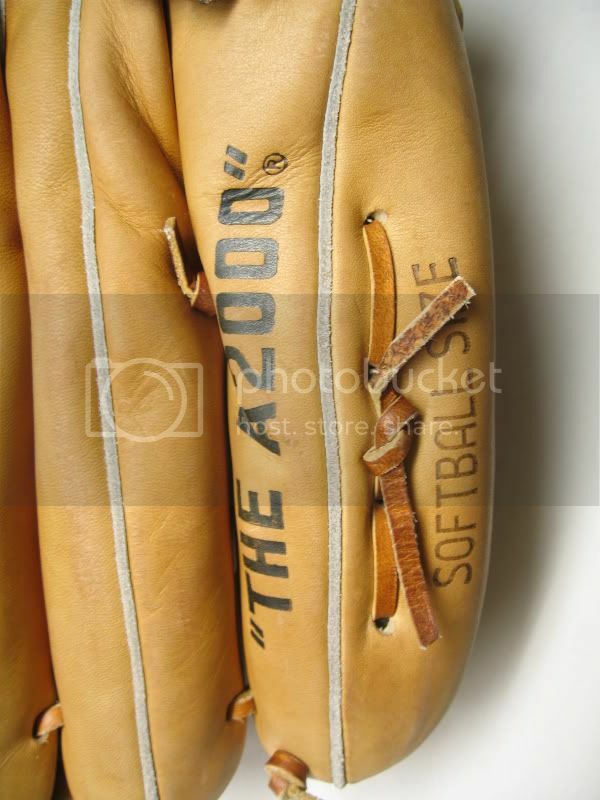 Finally saw one of those A2000 XXL glove the other night for the first time. 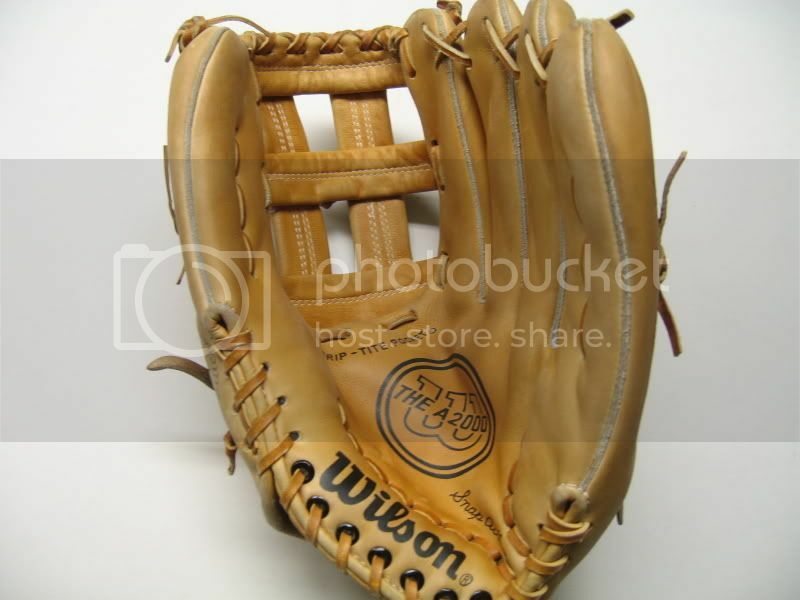 They seem pretty nice, minus the fact that the one I saw was over oiled compared to this one. 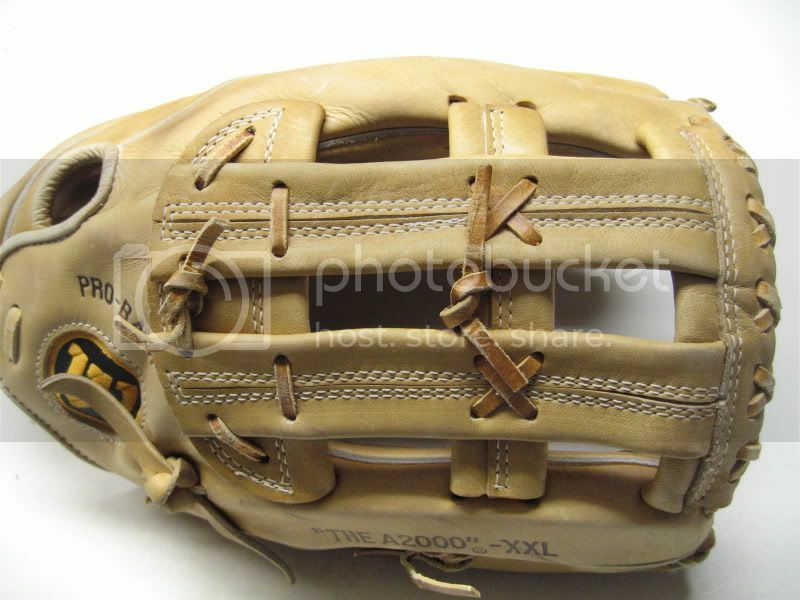 Plus I have to figure out how the middle of the web is laced, since the owner decided to rig it. It looks nothing like the pic. Ha ha. B17surf, do you have a pick of the back of the web on that XXL? I think I have it figured out, just want to make sure. Sorry, I haven't checked this site for a while. Is this what you were looking for?